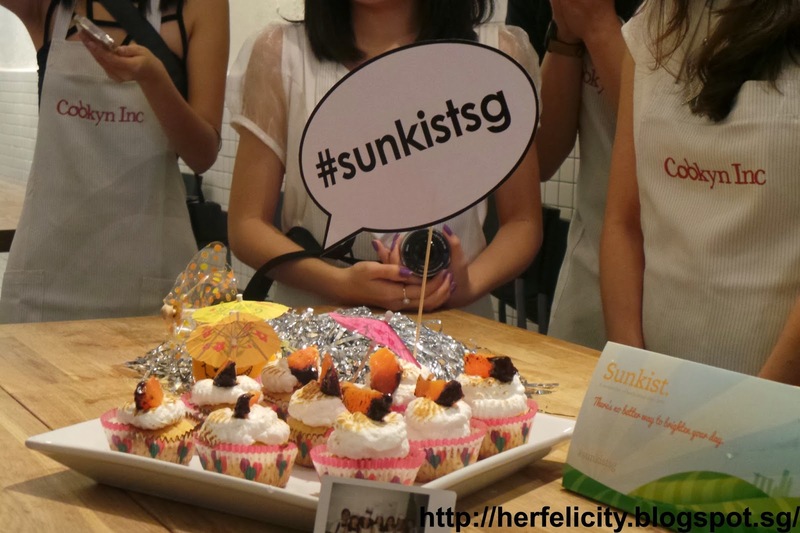 Honoured to be invited by @SunkistSg for a blogger event last weekend,for a cookout session at Cookyn Inc! Of course I'll bring the boy along! :D It's our first cooking class as well. Though I bakes and cooks at home. Haha! So the bloggers were divided into 4 different teams, Cara Cara, Valencia, Navel and Moro. Does these names sounded familiar to you? If your answer is yes, then congrats to you! Because you're a true Sunkist Oranges fan! Only available from Dec - Apr, Cara Cara is branded as the power orange as it provides 150% of Vit C an average person would need daily. It is exceptionally sweet, juicy and low in acid. Also, it is fat free and sodium free! Orange on the surface, Cara Cara has a distinctive pinkish flesh on the inside, which consumers would often mistaken it as grapefruit. Only available from Feb - Oct, Valenica is also known as the summer oranges. It is usually small to medium size with few seeds and has a really thin skin! It is also an excellent source of VitC and folate! Only available from Nov - Jun, a Navel orange alone provides all the vitC an average person needs a day. At only 80 kcal, it is nutritiously filling as a snack due to its fiber and water content. 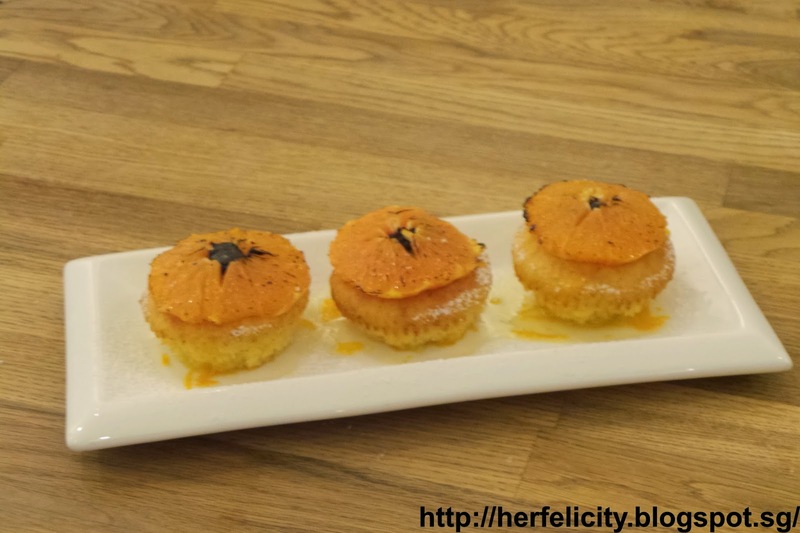 Only available from Jan - Apr, Moro orange is small to medium sized with thin skin and few or no seeds like Valencia orange. However, when you sliced open a Moro, you'll see a dramatic and beautiful bright red to deep maroon interior. Take a but and you'll become a fan of the intense orange taste as well as that hints of fresh raspberry! Is that content over-loading for you? Heh! 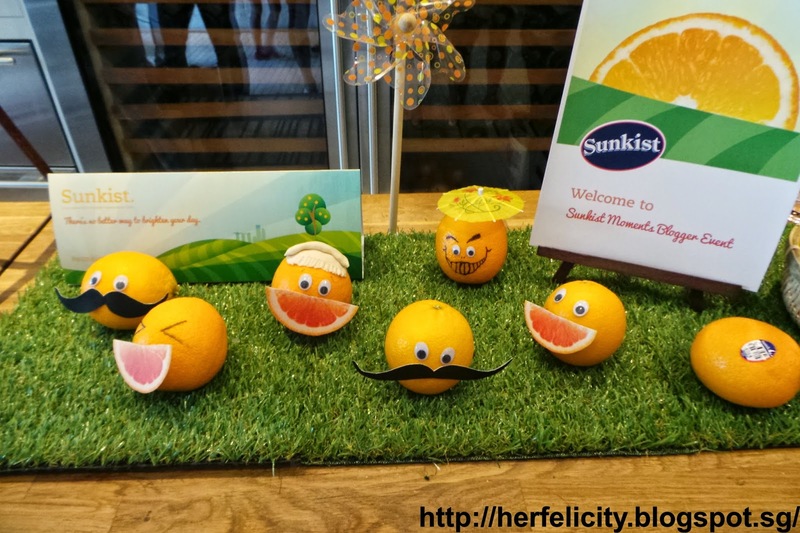 Sorry, I'm just too excited to share my new found knowledge about Sunkist Oranges! :D It's ok, you can hop back to read when you're interested or go to Sunkist Oranges official website to read more about them! Moving on to more interesting part of the event, the cookout! Of course Sunkist Orange is the star of the event. Read on and you'll be amazed by how versatile the fruit is to be incorporated into our daily cooking/baking. Torched Sunkist Cara Cara Oranges with Poached Prawns, Tomato Salsa and Whipped Cream Cheese. 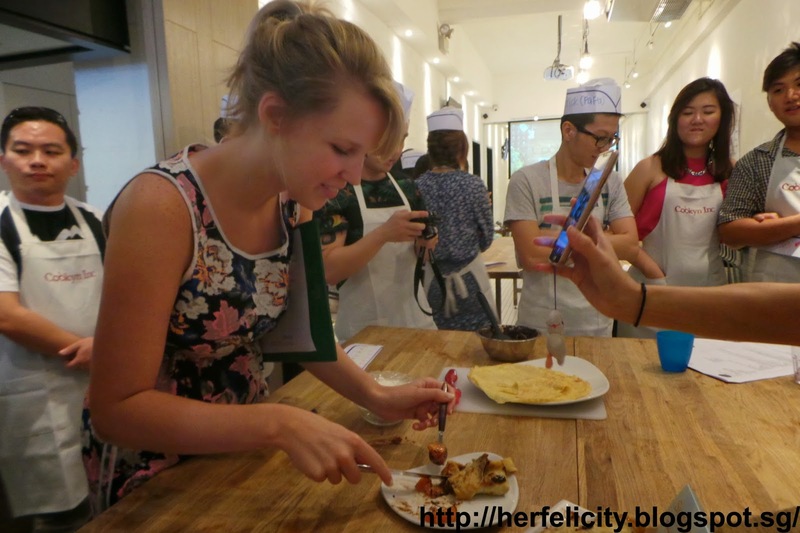 The first dish that we learned was this appetizer, that is really yummy! The boy and I loved it a lot. A very refreshing pairing. I just amazed by how the caramelising of the Cara Cara orange with the blow torch could bring out so much sweetness to the fruit! Need to get a blow torch in my kitchen too!! 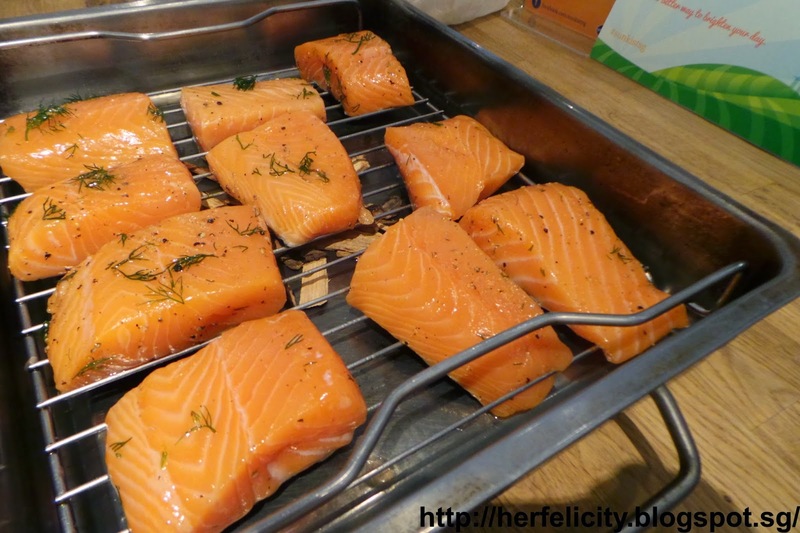 Anyway, our salmon steaks were marinated with sea salt, pepper, dill and olive oil for about 20 minutes before popping into a preheat oven at 180 degree celsius, for 10 minutes! Smoked Salmon with Sunkist Valencia Orange Salad and Yogurt Dressing. Did our own platings again! Left is mine and right belongs to Mr Tan. For the second dish, the Sunkist Orange used was Valenica. The dressing at the side is actually a yogurt dressing that is made with yogurt, orange juice, mustard, olive oil, balsamic vinegar, salt and pepper. So good!! I love the well balanced taste of sweet and sourness in it. After a good lunch (made all by ourselves), we moved on to the highlight of the event. Yes yes. Does this sounds like Masterchef to you? With 45 minutes on hand, we were given a mystery box containing - Sunkist Valencia and Cara Cara Oranges, dark chocolate, greek yogurt, flour, egg, butter and a pre-made butterscotch sauce. 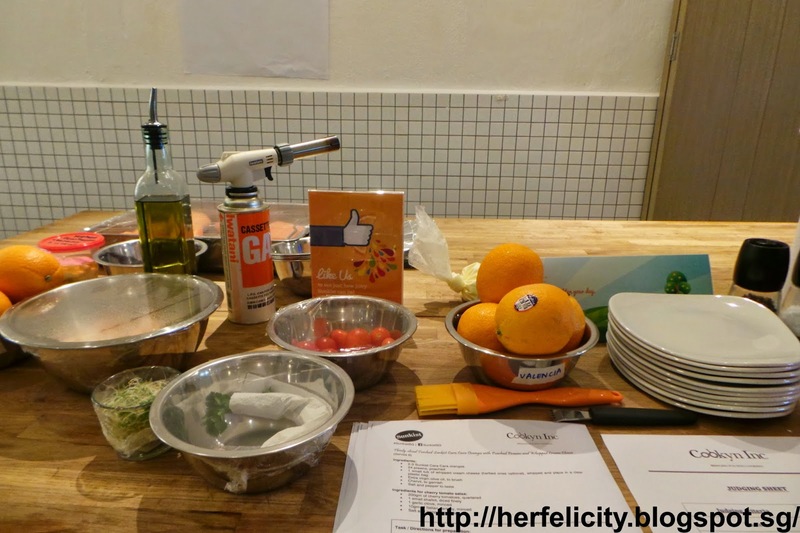 With these ingredients, we can create any dessert item (with Sunkist Orange as the main of course) within the time-frame! It's not just about the taste of the dessert itself, we will be judged on taste, creativity, marketing and punctuality! 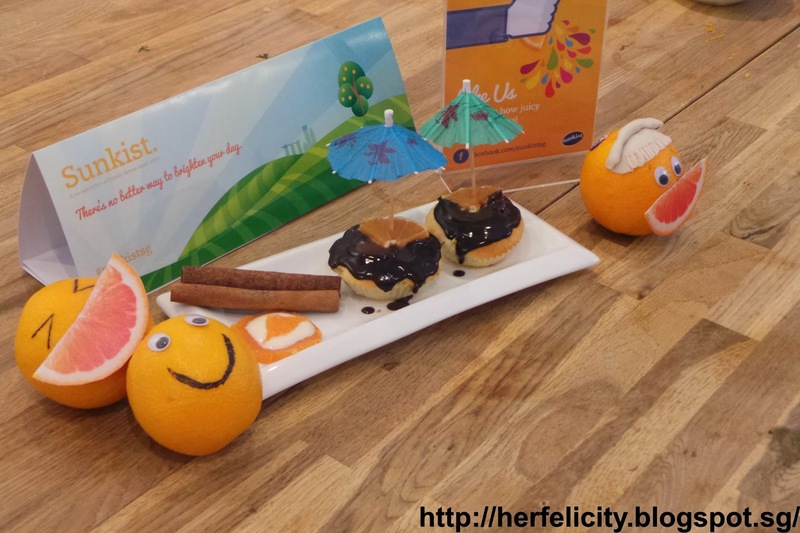 Yups, we got to market our 'product' too, using Sunkist Moments as a Marketing Campaign. Boy, that's was seriously a tough challenge! Thankfully, I didn't screw the team up! Omg. I was so nervous can! Hahaha! I'm pretty happy with attempt though. :D All of them crepes turned out to be perfectly brown! Yay! #missionaccomplished. So while I was making the crepes, the rest of my team mates with busy with the filling! We made caramelised Cara Cara orange and Chocolate-coated Cara-Cara oranges. Me prettying up our dish. Time was running out!! Decided to glaze the crepes with some butterscotch sauce too! Oranges crepes filled with caramelised Sunkist Cara Cara Oranges and chocolate-coated Sunkist Cara Cara Oranges. Cupcakes by Team Cara Cara. Another cupcakes by Team Navel. Cupcakes again, by Team Moro. 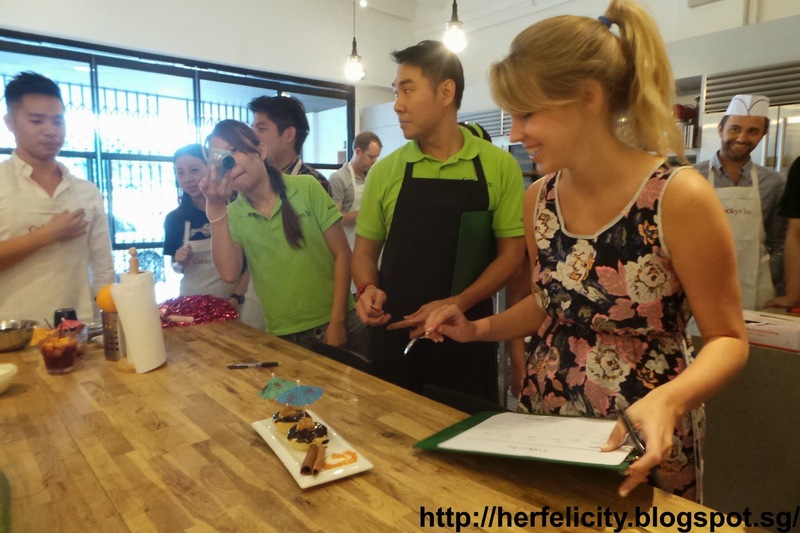 The nerve-breaking time, food tasting.